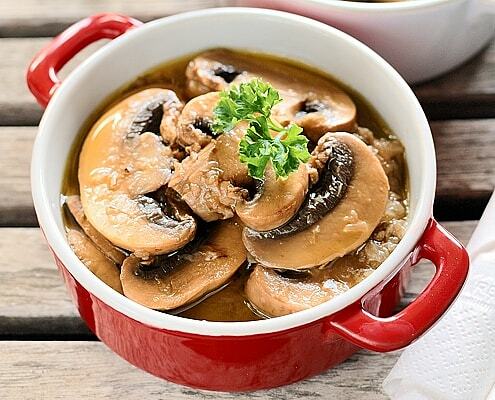 Home > Food & Recipes > Why is it so important to include mushrooms in your menu? Mushrooms are the most important fruits of nature, and many believe that in them lies the salvation for many diseases today. That’s why it’s important to eat more mushrooms, and we will present the basic reasons. Many of them contain natural medicines and are therefore very important for our health. On the planet there are about 140,000 species of fungi, but science is familiar only with a small percentage. Scientists analyzing only a hundred mushrooms because of their beneficial properties. If we are due mushrooms discovered penicillin, but if these 100-odd fungus plays an important role in the treatment of diseases of modern society, imagine what is hidden in other as yet unexplored mushrooms. Common to them is that they are strengthening our immunity. Of course, we are talking exclusively about organically grown mushrooms, preferably wild, growing on clean territories, away from pollution. Why is this so important? Mushrooms absorb more than other plants, all of which are found around them in the ground or air. So they can pick up heavy metals and contaminants from air and land. Many mushrooms contain powerful antibiotics, which are important in the defense of the human body from disease. In addition to strengthening the body, are an excellent addition to the diet. Studies have shown that people who replace red meat with mushrooms (at least 1 cup of mushrooms per day) are faster and healthier than skinny ones, who do not consume mushrooms. Also noted was a reduction of waist circumference and the possibility of easier maintenance of achieved weight after baby. With mushrooms you consume more vitamin D. For example, it has been proved that the extract of ordinary dried champignons effective in increasing vitamin D supplements – vitamin D2 and D3. It is interesting to point out that other research has shown that by the consumption of mushrooms we are becoming more resistant to salmonella. Many fungi are also still being questioned as a potential main fighters against all forms of cancer. This particularly shiitake and reishi mushrooms. Many healthy mushrooms contain powerful antioxidants, and some of them called “royal antioxidants” (one of them is certainly L-ergothioneine). Unfortunately, in the world are mostly consumed mushrooms or “their little sister” Portobello mushroom, which is certainly good, but there are many other more tasty and extra healthy. You can eat them raw, dried, roasted, cooked in soup, in an omelet with spinach, udinstane with onions or grilled. Most of the time you just need a little salt and olive oil and you have a meal that will keep you satiated for a long time. Try to buying different kinds of mushrooms, controlled origin, and if you want me to add wild mushrooms (which are the healthiest) you can go on a quest, but only with professionals. Previous: Is vegan healthy for children?